Give Ladies Circle a whirl! Have a laugh in the process? Then why not give Ladies Circle a whirl? 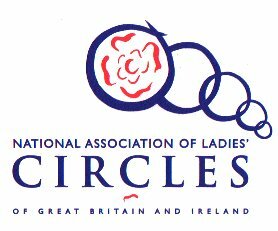 YES – that’s right Ladies Circle - sadly, we don’t make jam, sew or do lunch! But we “have a go” at all types of social, fundraising and community activities. raft racing, archery, pudding night, pamper evenings, abseiling, race night, swimming, Indian dancing, pub walks, theatre, quizzes etc. adult tricycle donation to Bournstream, £700 donation to Tommy’s, World Challenge Bingo, Charities Fair, Town Hall Teas, Bonfire refreshments, marshalling Race For Life. You don’t need to have any particular skills just to be female and aged 18-45! We will be pleased to welcome you to our meetings - twice a month (1st & 3rd Tuesday of the month). Please see our Programme of Events and come along without any obligation. Contact Jane (01453 844246) or Trish (01453 521591) for further details.